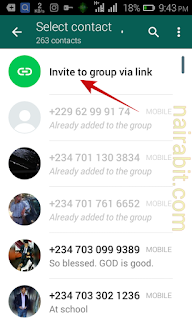 Step 3 - Tap on " Add Participant"
Step 5 - Your Whatsapp link will be generated and anyone that has Whatsapp install on his phone can join the group. 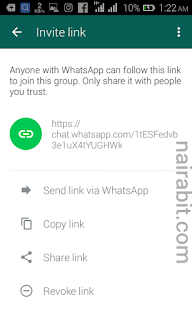 • Send link via Whatsapp - this enables you send the link that has been generated to any Whatsapp contact or group instantly. 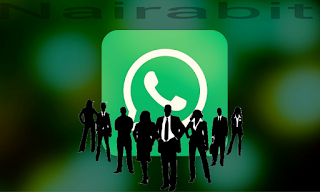 • Copy Link - to copy the Whatsapp chat link to clipboard. You can paste it anywhere you want. 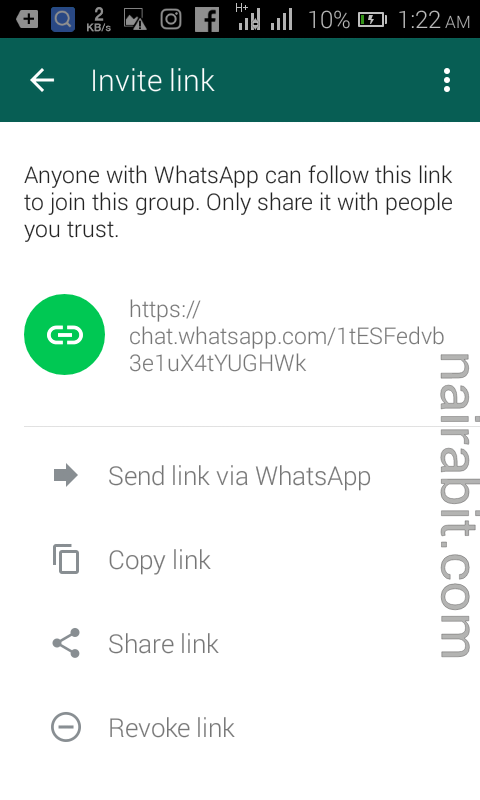 • Revoke Link - If you want to stop people from joining the group via the link you have shared, use the revoke option to cancel the link access. When you do that, nobody can access your group using the link. Whatsapp is fun and Whatsapp group is even more fun. I hope this helps.